Is your little daughter thrilled with the sight of cartoons and Hello Kitty? 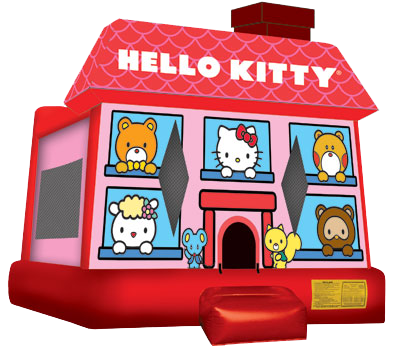 I know mine certainly is, and when she saw this bounce house for the first time, her eyes lit up with joy. 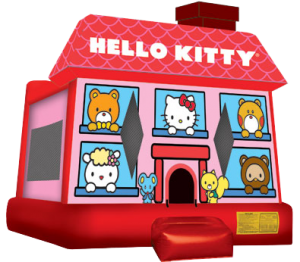 Share this experience with your little one and her friends with this nearly brand new Hello Kitty themed Bounce House. It is the same size as my large bounce houses.